Krommer's String Quartet in a minor, Op.103 No.3 in a minor is the third of a set dating from 1821. Krommer, who was by then 62, it could be argued was still writing in the late Viennese Classical style. But it would be more accurate, in view of the fact that he had advanced his style in several ways, to say that his quartets from this period are examples of the emerging Romantic era, much like Hummel’s efforts. The opening movement, Allegro moderato, gives ample evidence of this. After unison opening chords, which create a kind of short fanfare, the music immediately become threatening and turbulent. This mood continues throughout. Here and there, we hear touches of of the older classical style and even a short passages which sounds like a quote from Mozart’s Dissonant Quartet, K.465. The second movement, Andante con scherzo, is in several ways quite interesting and original. The main theme is a kind of restless but subdued traveling music. The con scherzo explodes like a brief cloud burst onto the scene late into the movement. The thrusting and energetic Menuetto, allegretto which follows, is a cross between a scherzo and a minuet, but certainly not anything that could be danced to. The finale, Allegretto, literally explodes with a kind of Mannheim Rocket. No sooner then this is over, comes a short, teasing quote from Mozart’s Magic Flute, which also quickly evaporates. Krommer then repeats the whole series, before presenting a rollicking ride over a delightful music countryside. 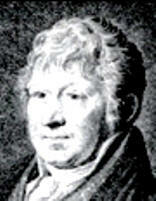 Franz Krommer (1759-1831) was one of the most successful composers in Vienna at the turn of the 18th Century. His reputation was attested to by the fact that his works were frequently republished throughout Germany, England, France, Italy, Scandinavia and the U.S. According to contemporaries, he was regarded along with Haydn as the leading composer of string quartets and as a serious rival of Beethoven. Krommer was a Czech violinist of considerable ability who came to Vienna around 1785. For the following 10 years he held appointments at various aristocratic courts in Hungary. He returned to Vienna in 1795 where he remained until his death, holding various positions including that of Court Composer (Hofmusiker) to the Emperor, Franz I. There are more than 300 compositions which were at one time or another published, much of which is chamber music. Wilhelm Altmann, in his Handbook for String Quartet Players writes that "Krommer knew how to write for string instruments and as a result what he wrote sounds brilliant." We have reprinted the original 1821 Steiner of Vienna edition, which is clean and, for its time, easy to read. We feel this makes an excellentd concert piece and a work which amateurs will also enjoy.